International flights arrive by evening. Everyone meets at the Hotel Sebastian, reached by a 1-hour (or more) taxi ride from the new international airport. Unfortunately, there are still few hotel options near the airport and the only decent hotel is difficult to book. If you choose to book a hotel near the airport, we will discount the tour price by $35/person/night. Night at Hotel Sebastian in Quito. 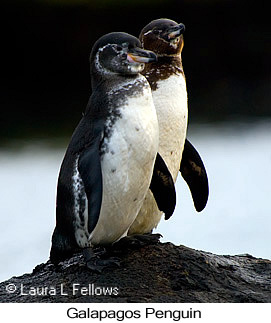 Following leisurely breakfast, transfer to Quito airport for flight to Baltra Island, gateway to the Galapagos. Upon arrival, transfer across the island to meet the boat. 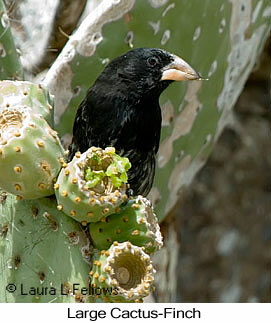 There you'll encounter the first Darwin's finches, the ubiquitous Small Ground-Finch and Medium Ground-Finch. 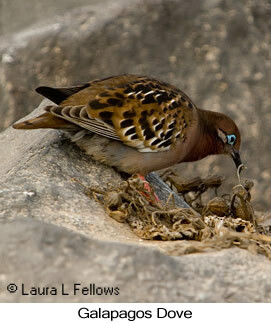 Also likely is the striking Galapagos Dove. Board the 16-passenger yacht, sail to nearby Bachas Beach on Santa Cruz. 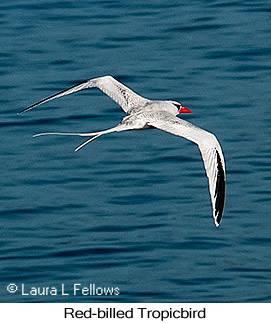 Present in the harbor are Elliot's Storm-Petrel and other seabirds such as Brown Noddy. At Bachas Beach disembark for an easy walk along sandy beaches and through dunes. Here expect American Flamingos, various shorebirds, and Galapagos Mockingbird. After returning to the yacht, sail overnight to Genovesa Island, arriving before dawn. Morning look for and photograph San Cristobal (Chatham) Mockingbird, which is only found on San Cristobal. 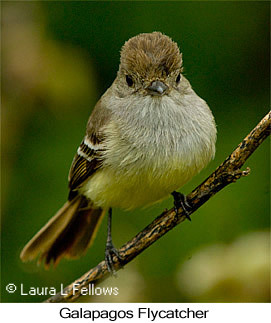 Also look for Gray Warbler-Finch, Vegetarian Finch, and Woodpecker Finch. Visit interpretation center as time permits. Mid-day flight back to Quito. Night at Hotel Sebastian in Quito.